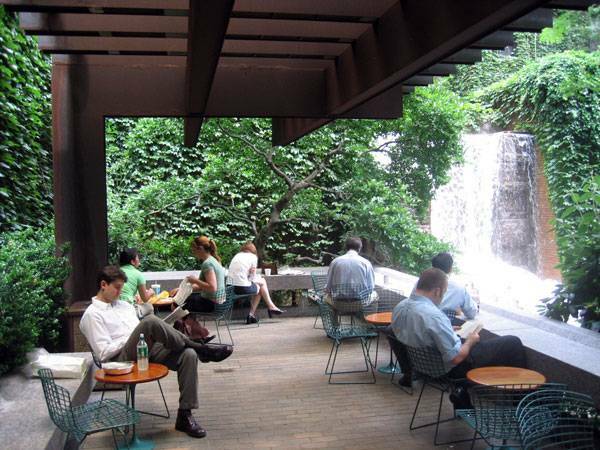 Greenacre Park, by Sasaki Associates, Inc., New York City. “Cities are as good as their public spaces”, urban planner Gerhard Curdes once said. Public spaces are the response to multiple needs and wishes and are at the heart of every city. But not all public spaces are alike: The good ones improve the quality of public life; the not-so-good ones lower that quality. 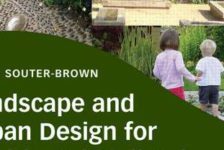 Among the many options are pocket parks in inner-city areas — urban open spaces on a very small scale that meet a variety of needs. 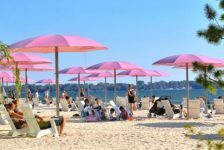 They are a perfect solution for people taking a break during the workday, serving professionals, tourists, shoppers, and the neighboring population. 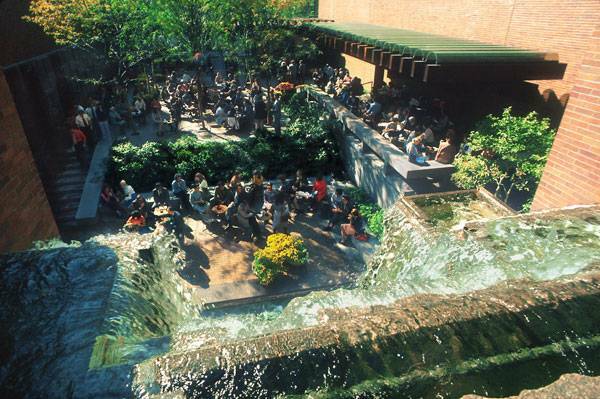 Masterplan of Greenacre Park. 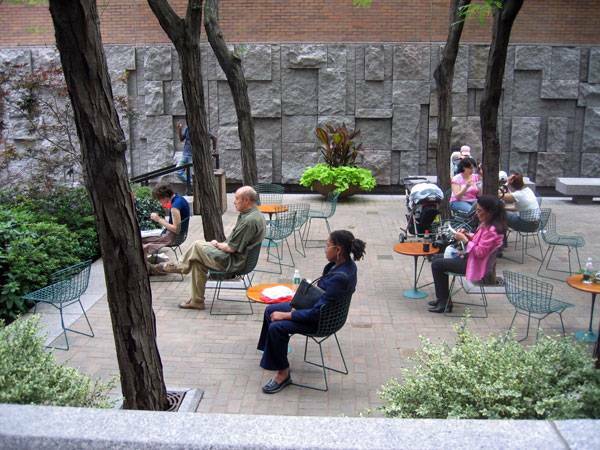 Image courtesy of Sasaki Associates, Inc.
New York City embraced the idea of pocket parks in late 1964, when The Park Association of New York City organized to support the formation of public green spaces from small, unused lots in the city. 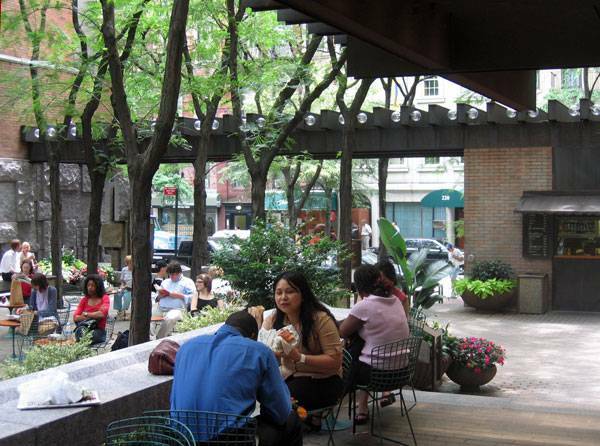 In 1975, Hideo Sasaki, founder of Sasaki Design, created the plans for one such space, Greenacre Park. 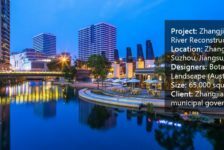 Sasaki is an internationally renowned landscape architect admired for his multidisciplinary approach to design. Through the modernist style of this park, he offers New Yorkers an intimate experience in the middle of the city. Greenacre Park. Image courtesy of Sasaki Associates, Inc.
“What a lovely, serene place to enjoy lunch!” (Nakia S.) Entering the park through a trellis made to support and display climbing shrubs, the pathway leads to the central seating area of informal groupings of tables and chairs, perfect for a coffee break or lunch. The shade produced by the overhead honey locust trees (Gleditsia triacanthos) not only provides protection from the sun, but allows a beautiful dappled light to pass through. Escaping the Busy World Seating walls and steps invite visitors to relax and escape the busy outside world for a bit. The movable furniture provides flexible use of the park’s terraces. A raised terrace on the west side provides an overview of the whole park, and is equipped with lighting and radiant heating for evening and cold weather use. “… as a small waterfall whose powerful sound drowns out the city noises.” (Blake B.) A water sculpture just outside the park lures people in. Once inside, visitors can spend hours looking at how the water trickles over the relief sculpture surface into a tunnel leading to the main fountain at the end of the park. The combination of water and park results in a pleasant temperature on hot summer days and a relaxing sound. The city starts to fade into the background. A more immediate sense of contact with water is provided by the lower seating area at the base of the water display. The whole scene is completed by multiple plants, which also reduce air pollution. The blossoms of magnolia (Magnolioideae magnoliaceae) and azalea (Rhododendron ericaceae) create an enchanting atmosphere. 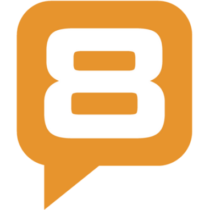 Check out Fiskars azalea pruning tips for care and maintenance insights. Furthermore, urns filled with seasonal bedding plants have been placed informally throughout the park. 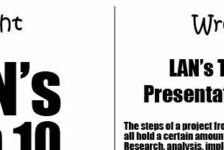 The fact that park users understand the functionality of the water elements, as shown in Blake’s short review, indicates that the designer’s intention is perceived and appreciated. The fact that size is not directly proportional to quality has been once again proved by Greenacre Park. 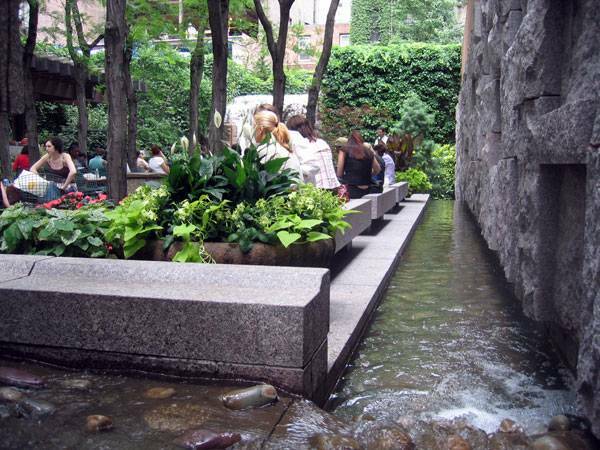 Even if criticized by many of its users for being locked during the night, this pocket park includes spaces for relaxing or meeting friends, taking lunch breaks, and escaping the bustle of the city. Moments of Serenity in a Busy World It fulfills the purpose of providing moments of serenity in this busy world. 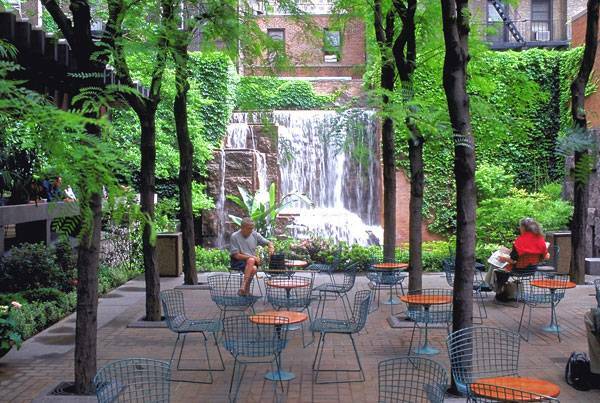 Greenacre Park is an outstanding small urban space offering visibility, flexible seating, and climatic comfort. 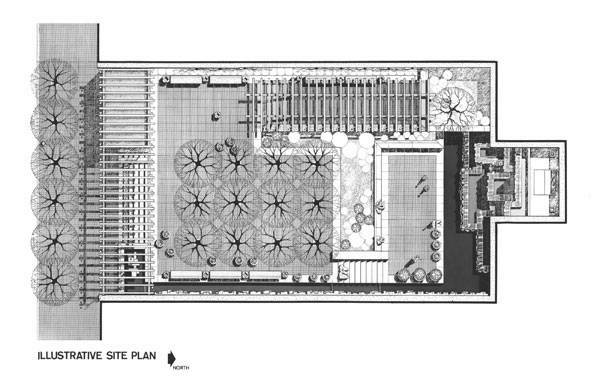 Designed 40 years ago, this pocket park brought out the best in its small site. 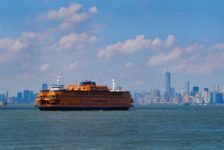 How do you estimate its utility for contemporary cities?